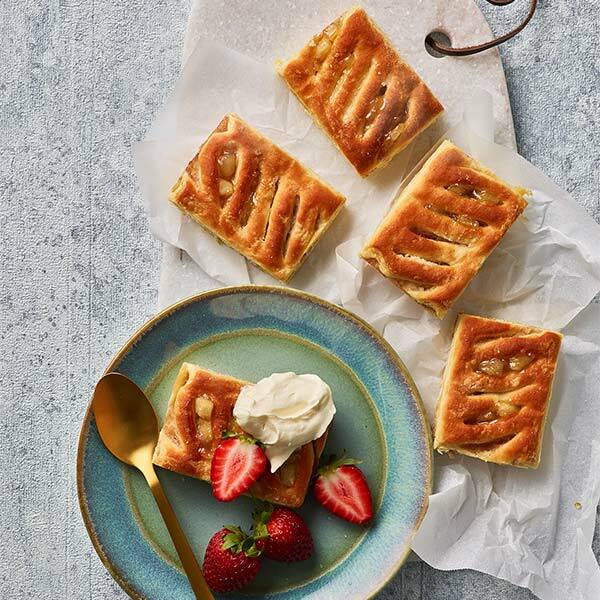 Sara Lee's Apple Berry Danish makes a delicious heart warming dessert that is easy to prepare and serve. 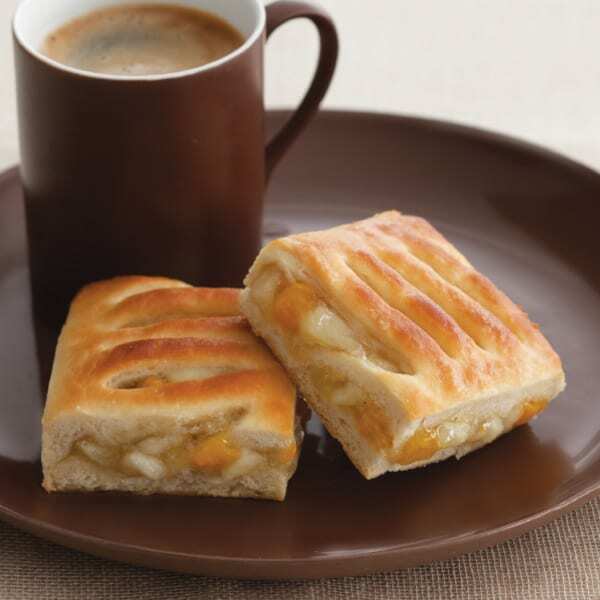 Soft custard sitting alongside a rich apple berry blend is encased within golden pastry. 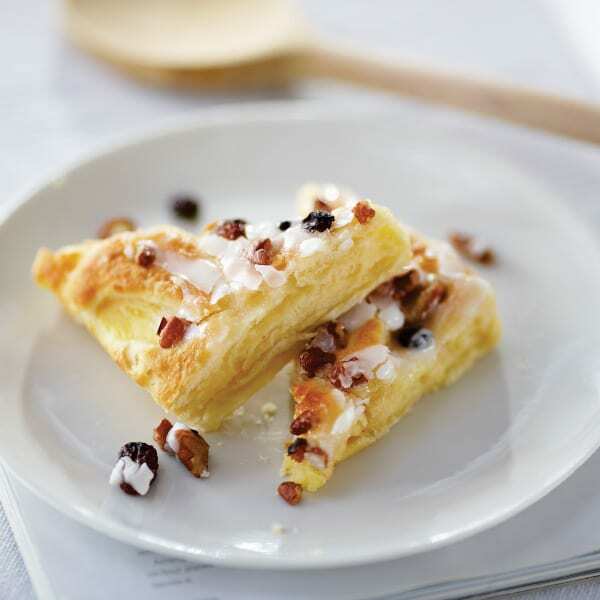 Warm through and serve Sara Lee Tray Apple Berry Custard Danish to the table as is or with a simple garnish. Return any unused frozen portions to the freezer immediately. 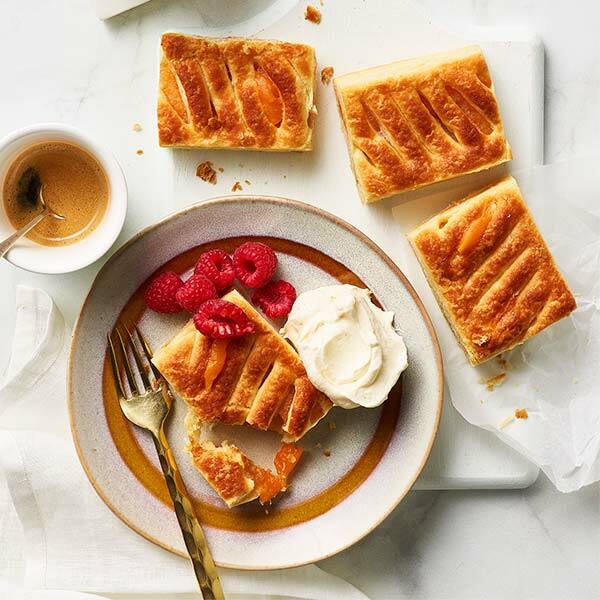 Wheat flour (thiamine), water, sugar, apple (9%) [firming agent (509)], blueberries (8%), butter, egg, margarine (vegetable oil), glucose syrup, thickeners (1414, 1412, 1422), milk solids, yeast, salt, vegetable gums (401, 407, 414), mineral salt (508), emulsifiers (vegetable - 471 soy, 475), acidity regulators (citric acid, 339), natural vanilla flavour, gelatine, natural colours (curcumin, carmine).